(Chapel Hill, N.C. – Jan. 17, 2019) – Today the University of North Carolina at Chapel Hill announced an exciting new partnership with Global Citizen Year that will help the University keep up with the growing demands of students who seek long-term, transformative gap year experiences abroad. Resources from an anonymous donor will enable the University to triple the number of students in its Global Gap Year Fellowship (GGYF) program, growing the cohort from seven to 21 Fellows per year by 2020. UNC is nationally recognized as a university that encourages and values gap years. UNC’s GGYF was launched in 2011 as a partnership between the Campus Y, UNC’s hub for social justice and innovation, and UNC’s Office of Undergraduate Admissions. This innovative program was only the second university-supported gap year in US higher education – and the only one to subsidize self-designed gap years and specifically recruit first generation college students, lower income youth, and students of color. Since its inception, GGYF has supported 53 first-year students as they deferred their acceptance at Carolina and designed high-impact gap years around public service and social justice abroad. The program partnership enables students selected as Global Gap Year Fellows to choose one of two tracks: the ‘design-your-own’ 6 to 10 month service experience abroad with support from the GGYF team in Chapel Hill, or pursue an extended community immersion experience with Global Citizen Year. Offering these two options will help Fellows and their families access the model that best supports their learning goals and preferences. GGYF Fellows choose the country and public service organizations where they will volunteer, while Global Citizen Year offers an 8-month global immersion and leadership development program in a community in Brazil, Ecuador, India, or Senegal. The Global Citizen Year model features a homestay with a local family, a hands-on apprenticeship with a social sector organization, ongoing leadership coaching, and intensive language training. 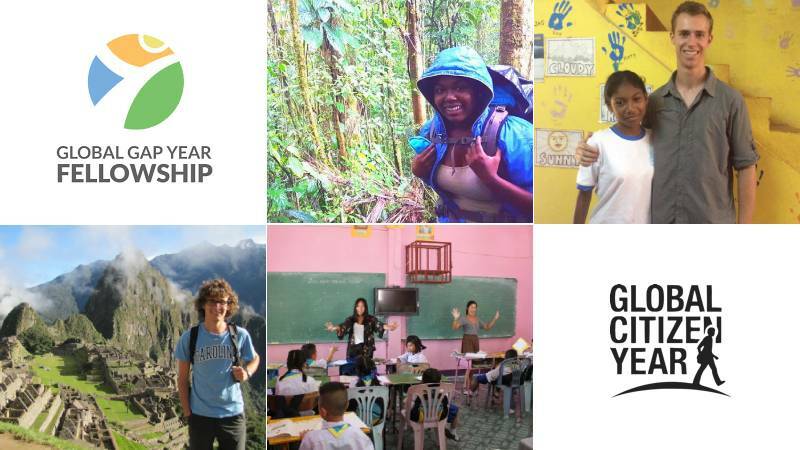 Global Citizen Year will match the $8,000 merit scholarship that UNC provides to Global Gap Year Fellows, and will supplement this $16,000 award with need-based financial assistance.